Former Federal Reserve Chairman Alan Greenspan discusses his outlook for the economy and markets. 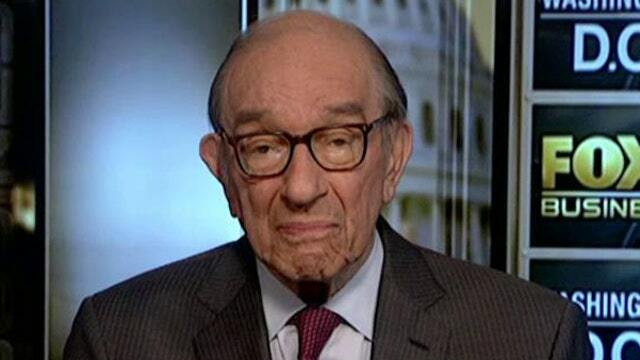 In an interview on FOX Business Network’s The Intelligence Report with Trish Regan, former Federal Reserve Chairman Alan Greenspan said the U.S. economy is being held back. Despite cheap borrowing costs, Greenspan said there is not enough capital investment to boost growth which is fueling an entitlement problem. The entitlement situation comes as Fed Chair Janet Yellen prepares to raise interest rates. Greenspan noted the pace of those interest rate increases could have major implications for both stocks and bonds. Greenspan also weighed in on the concerns billionaire Carl Icahn raised during a recent appearance on The Intelligence Report, when he warned that low interest rates were fueling a bubble in the financial markets. Greenspan shares some of those concerns.